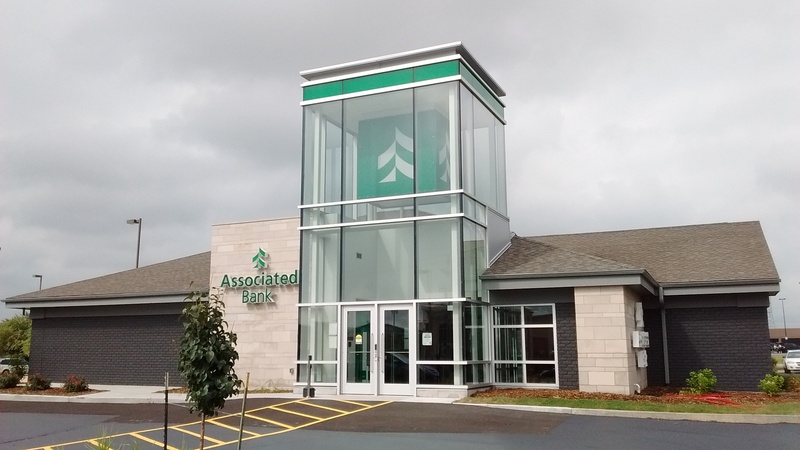 Appleton, Wis. – August 10, 2015 – Associated Bank today opened a new branch bank at 1195 N. Casaloma Drive in Grand Chute with Associated’s updated, branded architecture and a range of contemporary banking services. The 3,000-square-foot branch features three lobby teller stations, two drive-thru lanes with video interchange, three banker workstations and two-24-7 ATMs with full deposit capture. The branch provides consumer and business/commercial banking services, including checking, investments and mortgage services, along with online and mobile banking. Associated also has branches at 2175 S. Memorial Dr., 2701 N. Richmond St., W3195 Van Roy Rd. and W3122 County Rd. KK. Other Appleton area branches include 100 W. Wisconsin Ave., 109 E. Doty Ave. and 647 S. Green Bay Rd., Neenah.